Frameworks are becoming a useful tool for coders to use in their daily projects. They not only save you time but can take tedious and repetitive tasks out of your hands. This can prevent web programming errors when starting a project from scratch. While some developers don't like to use frameworks. There are strong reasons why you should use one for your next big project. Like mentioned before you can save a lot of time using a framework. Most have pre-built functions to take out repetitive tasks that most websites encounter. Keeping these tasks in one central location can keep your project organized. This is important for projects with multiple developers. Everyone knows where certain applications coding files are located. By doing this, it keeps a higher quality of work and makes it more upgradeable and maintainable. 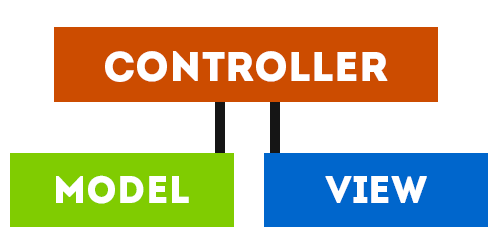 One of the best features in most frameworks is that they follow the Model-View-Controller method. This is an architectural pattern will separate the different interaction. The controller only communicates with the model, then using the model's data, it will manipulate the view. I know that sounds really confusing but let me explain more. When a user visits your site they are going to hit the controller. The controller then manipulates the view and renders the page. When your visitor interacts with your site and does a create, read, update or delete (CRUD) command. One a user requests one of these commands the controller will call the appropriate model. Once it gets the data back from the model, it will manipulate the view. PHP frameworks follow the MVC model and support the PHP >=5 with database migrations. Newer include security, caching, and form validation support out of the box. While there over a dozen PHP frameworks that are currently supported. Here are the most popular and industry supported. While most don't follow a transitional MVC model. They do have a similar standard to keep code organized. This isn't very many options for a framework for your CSS. There is one that can help save a lot of time in layouts and responsive design. Bootstrap is a styling framework that can make your front-end development faster and easier. It comes with simple tasks for layouts, buttons, and icons, not to mention all mobile ready. Python is a great server side coding language that is fast and powerful. Because it has started making a dent in the web development marketplace. There are now frameworks available for those who are looking to save time. There are multiple options for Python frameworks. I have only listed the two that have become the go to for new projects. While it doesn't seem like anyone uses just Ruby but when combined with its framework Rails, it becomes very powerful. Ruby on Rails is a server side language that is flexible and have a great community. Learning a framework can feel overwhelming and complicated. After spending enough time with one, you will start to realize how beneficial it is for a large project. 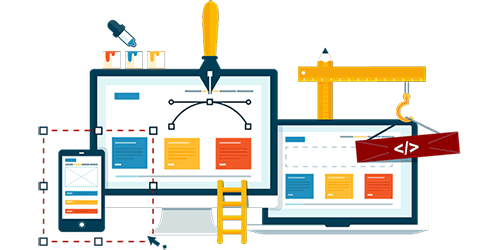 Knowing how to code in a framework is becoming a must in the web development industries. Especially in software development companies where multiple users are developing different tasks. While this is a hard question to answer as companies and trends change. It's more important to get an understanding on how they work. Once you have learned one of them, it is easier to migrate to a different one. Pick on that is has a great community so you can find answers to problems. Then sit down and try to convert a current project to a framework. This is a great way to problem solve and get results that you can use. Because there is no use of an application that prints "Hello World".